Korsningsväxel med banvall, manuell, 10°, radie: 959 mm, längd: 345 mm. 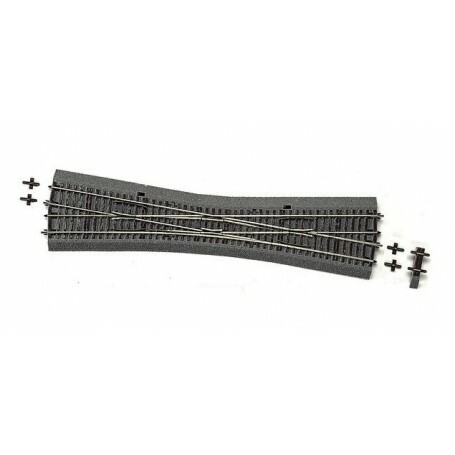 Simple diamond crossing with slips 10 deg., English design with inside tongues, for manual operation, length 345mm,turnout radius 959mm, crossing angle 10 deg. With bedding. Two distancers D2 and D8 are enclosed for length compensation. Matching electric drive 42620 (2x) or 42624 (2x).